Hello! 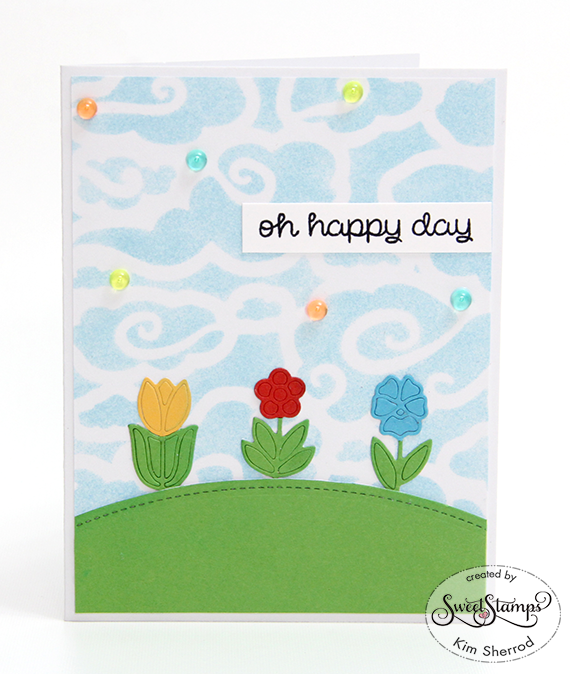 I made a card today for Sweet Stamps using the Sweet Cuts Flower Trio die. I started by die-cutting the flowers with the green cardstock. After that I cut each flower again in yellow, red and blue cardstocks. This is a great way to use up my small scrap pieces of cardstock. I cut each flower at the base to separate it from the stems and leaves and set it aside. I stenciled the clouds background and added some glass bubbles using dimensional glaze to adhere them onto the card front. I started piecing the flowers together by placing the outlines onto the card. I then placed the solid pieces of the flowers and leaves into the outline creating an inlaid look. Last of all I stamped the sentiment onto white cardstock. I absolutely adore this card! The cloud stencil in the background is awesome and makes the flowers and glass bubbles pop! Thank you for joining us at HIMCR! This is lovely, a bright and pretty card. This is a super card, such cute little flowers. Such a sweet card---loving it! Thank you for joining us over on the HIMCR blog! Love your cute little "garden"! Thank you so much for linking up with us at Joy Clair! Love the clouds and the cute garden. 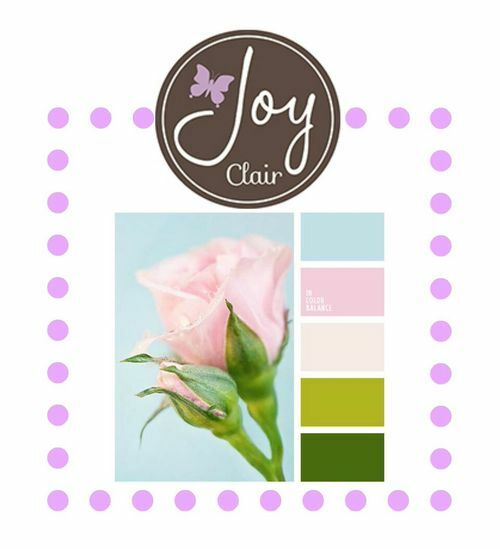 Thanks for joining Joy Clair!